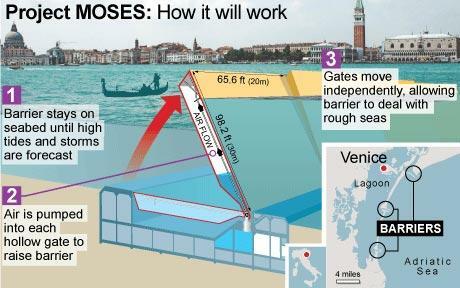 Will Moses’ Sea Gates Save Venice? I love Venice. I love the authenticity, uniqueness, and historical impact of this city built on pilings in a lagoon. Venice is amazing, and I mean exactly that. 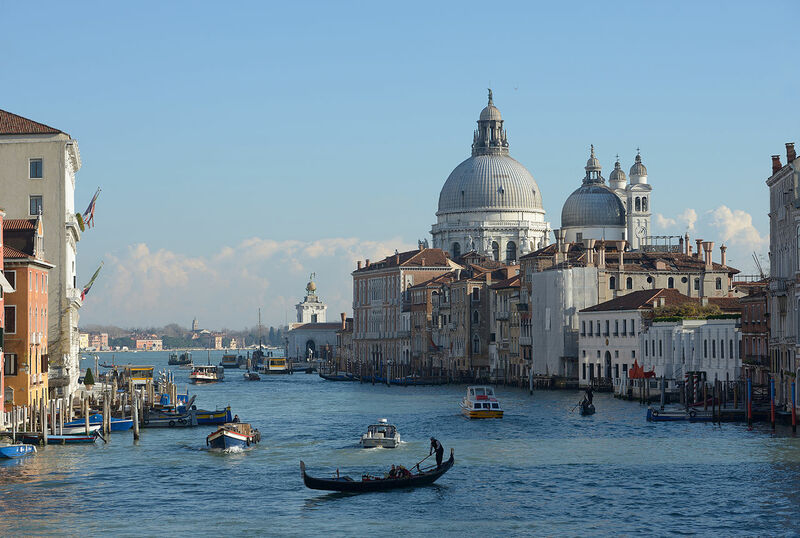 There is nowhere else in Italy I have traversed that even hints of what Venice encapsulates. I love everything about the ancient Basilica of St. Marks and the Doge’s Palace to the maze of winding streets lined with shops and cafes interspersed with surprising little piazzas. I even love the dip and sway of the stone streets and squares that testify to the patter of many feet over the centuries. Venice is like no other. Today, as most of us realize, Venice is threatened by the converging Adriatic sea. Water levels are rising, and floods are common during the winter months. Every year it is worse, and although the Venetians are experts at maneuvering themselves through the watery streets, it leaves a dwindling hope. The frequency of high tides keep getting worse. With every flood the water’s edge and building foundations weaken. So, how do you fight with nature? The floods, which last a couple of hours before receding back into the lagoon, reaches an average of over 4 feet on the streets. There is an answer, for the next 100 years at least. It’s called the Mose (MOdulo Sperimentale Elettromeccanico) or Experimental Electromechanical Module project. You may have heard of it. The 5.4 billion flood barrier project has been in the planning and implementation stages for a number of years. 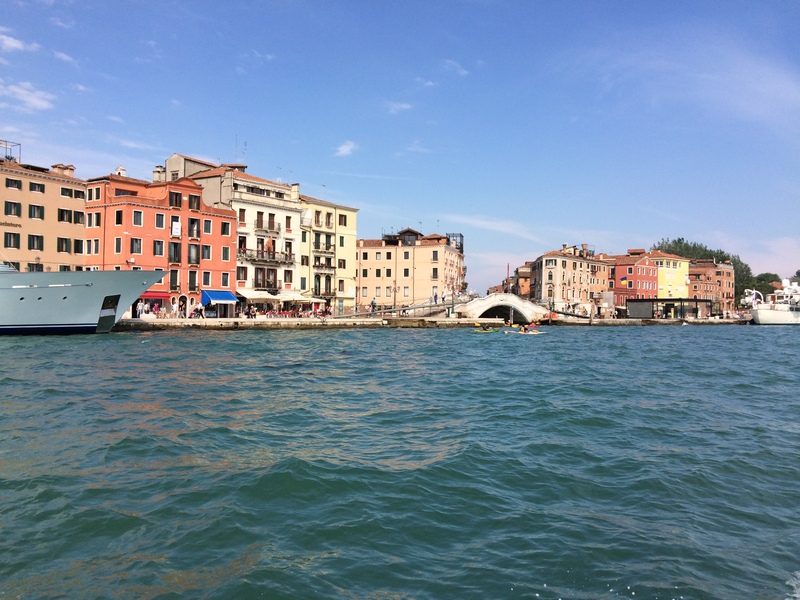 It consists of huge water gates inserted into concrete foundations on the floor of the Venetian lagoon. These gates will have the capacity to protect Venice from up to 10 ft. tides. 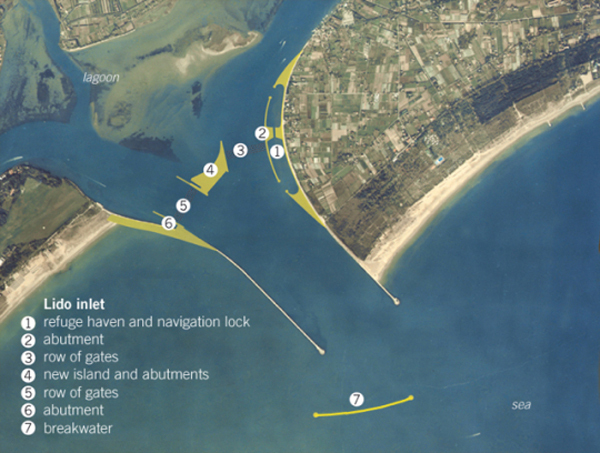 Three inlets where water enters and exits the lagoon will be manned with these gates and will be operated separately to manage the ‘acqua alta,’ high tides, as needed. The Mose control center is located inside a converted chapel in the old Venice Arsenal. Those operating the gates will raise them for only a couple of hours at a time before putting them back to rest. For now there are up to 9 operators, but hope is to eventually have the station manned 24 hours a day. 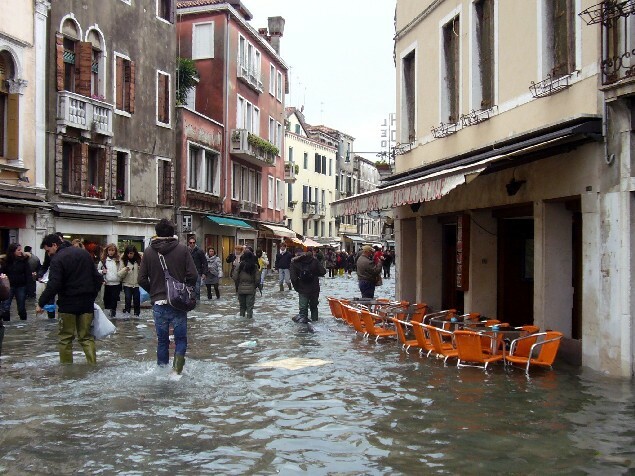 When there will be a flood, a siren will go off in Venice alerting the people so they can make preparations such as wearing boots, protecting shops, and so on. The concrete foundations have been lowered in place on the lagoon floor, only awaiting the gates to be inserted. The good news is that the biodiversity of the lagoon will not be affected since the gates will only be up a few hours at a time. At a cost of 5.4 billion for the entire project, it is expected to eventually prove to be cost-effective through reduction of repair costs due to flooding. Once the gates are up and running, time will tell just how effective they will be. But for now it is the only hope of Venice. What are your thoughts on these giant sea gates? I would love to know…please share below. For more information, please click on Inside Venice’s Bid to Hold Back the Tide. I live on the Atlantic coast of New Jersey and the Gulf coast of Florida with the sea just a matter of feet from my home. All my life I have loved the water and the peace it brings when kept in its own appointed limits. I applaud the the people of Venice and the efforts they are making to preserve a way of life the has no equal. I wish them well. It is a tribute to the human spirit to see such determination. God bless them. Fascinating idea! Speriamo che funzione-hope it works! I think a lot of us are holding our breath! Time will tell…it is exciting! This is s grest use of technology to save a fantastic city. Most do not realise the city is built on millions of tree trunks in the mud beliw. Let’s hope it works. Have they finally banned those monstrous cruise ships that pass through the laguna and contribute to Alta Acqua? 650 ships a year in the middle of Venice wouldn’t help at all. 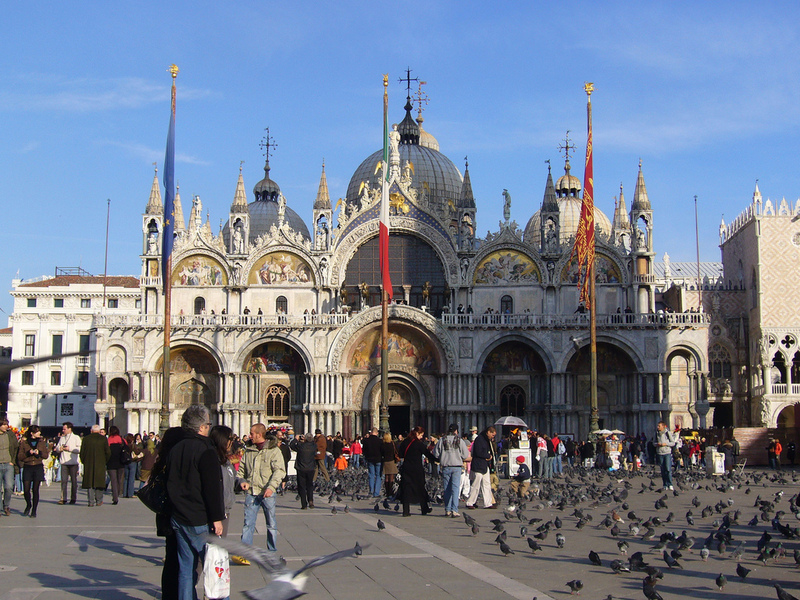 The local population of Venice s now around than 50,000. The number of visitors per year is around 22 million. 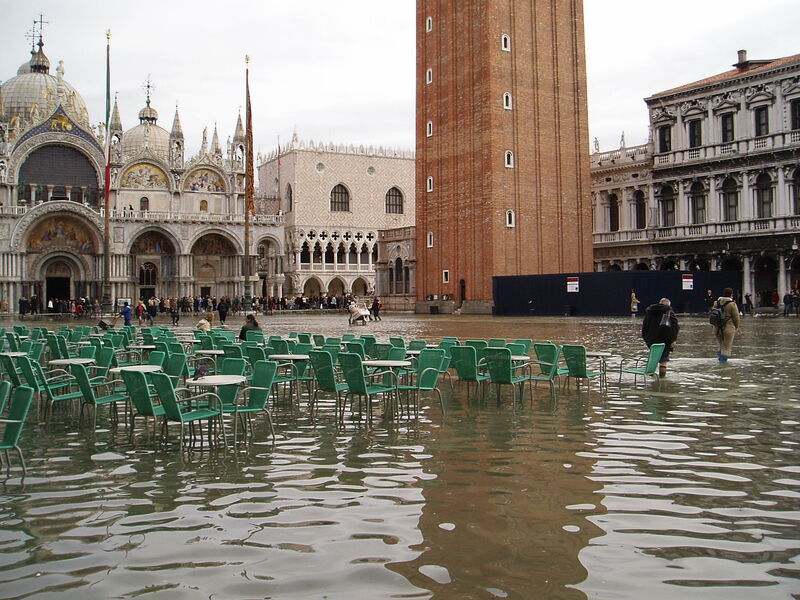 I can no longer visit Venice: there’s the water, and then there’s the tourist problem. I hope they work. Lots of the money to build these gates has been lost through corruption and theft.